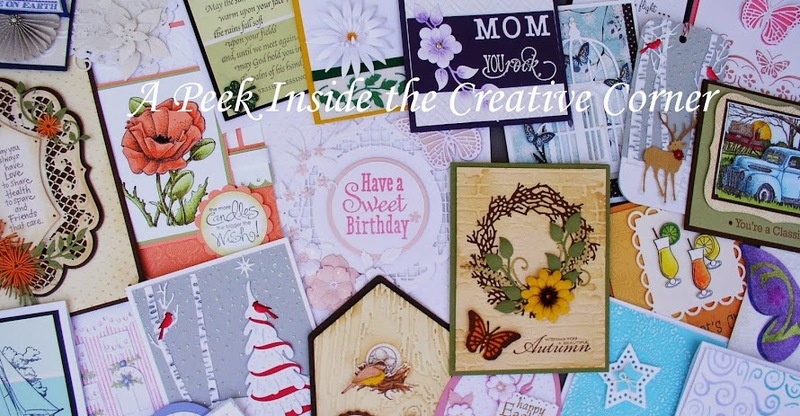 Join us this Saturday for this very pretty Make & Take. 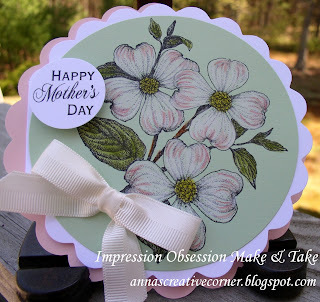 We'll use this beautiful dogwood stamp from Impression Obsession, as well as some colored pencils and create this card that is perfect for this time of the year! Don't worry if you need to change the saying; there will be plenty of other saying stamps to choose from! Meet up with your stamping buddies this Saturday! It'll be worth the trip! the perfect Dogwood Stamp for a while. Hope to see you Saturday Theresa. Oh yes, let me know if you want me to put the dogwood stamp aside for you.